So much to celebrate! 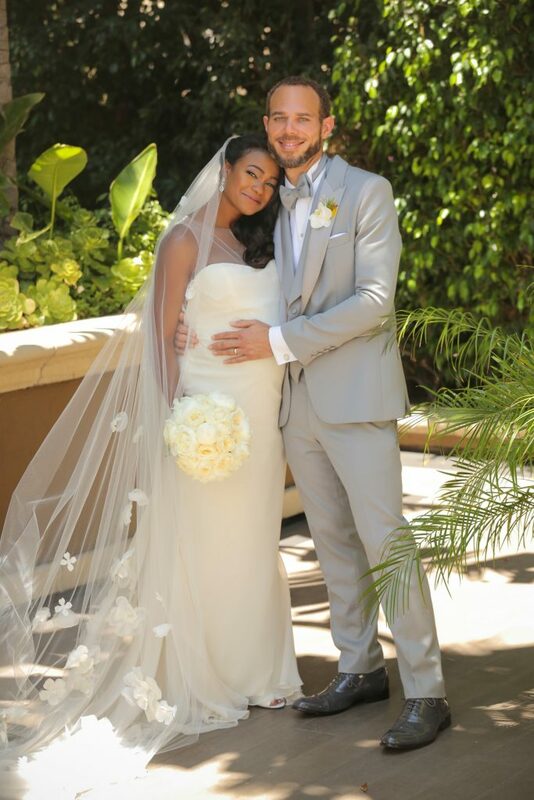 Fresh Prince of Bel-Air star Tatyana Ali is a married woman! 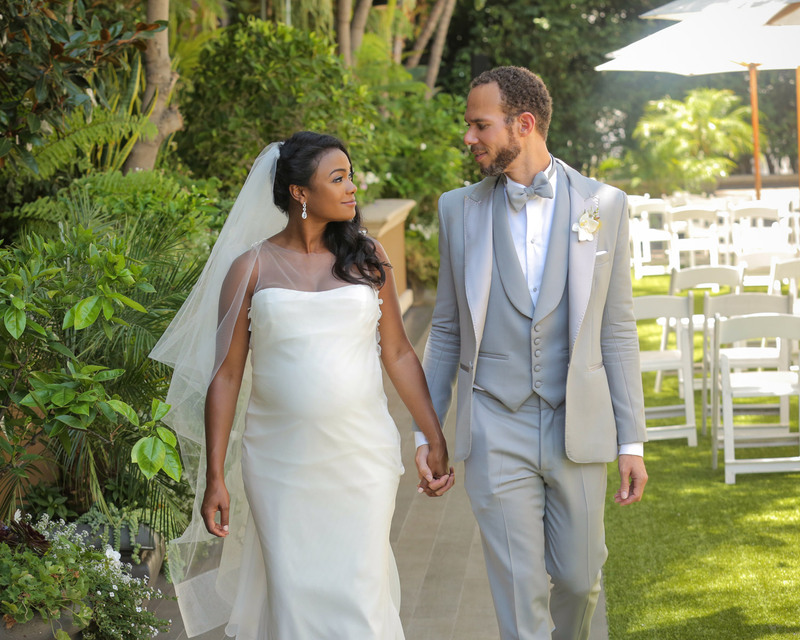 The 37-year old actress and R&B singer married Stanford assistant professor Dr. Vaughn Rasberry on Sunday, July 17, at the Four Seasons Beverly Hills , and The Knot has all the details! The newlyweds, who are expecting their first child together, became husband and wife during a morning ceremony. They were joined by 122 of their closest family members and friends at the upscale California venue. 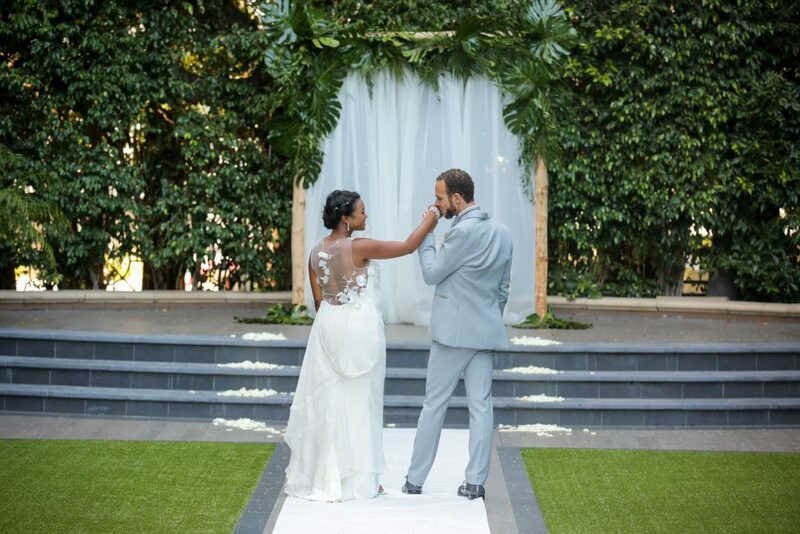 The groom wore a custom bespoke tuxedo created by Octavius Terry-Sims. The bride, who dazzled in Dena Kemp diamonds, carried white peonies and cream garden roses from Flowers Seed Floral in West Hollywood. 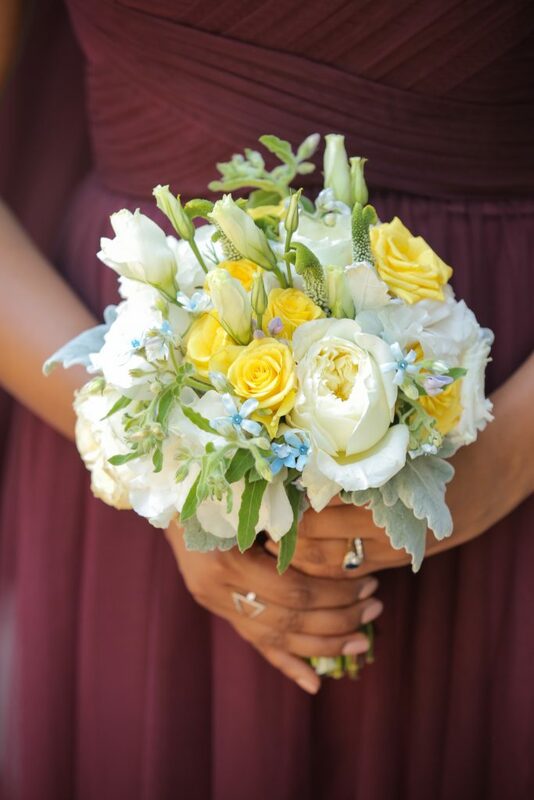 Wedding boutonnières were created by Gordon Lee for Gordon Lee Decor, while Monique Peters served as bridal stylist. Ali’s bridesmaids donned raspberry-colored, tea-length gowns also from Amsale and carried cream and ivory bouquets. 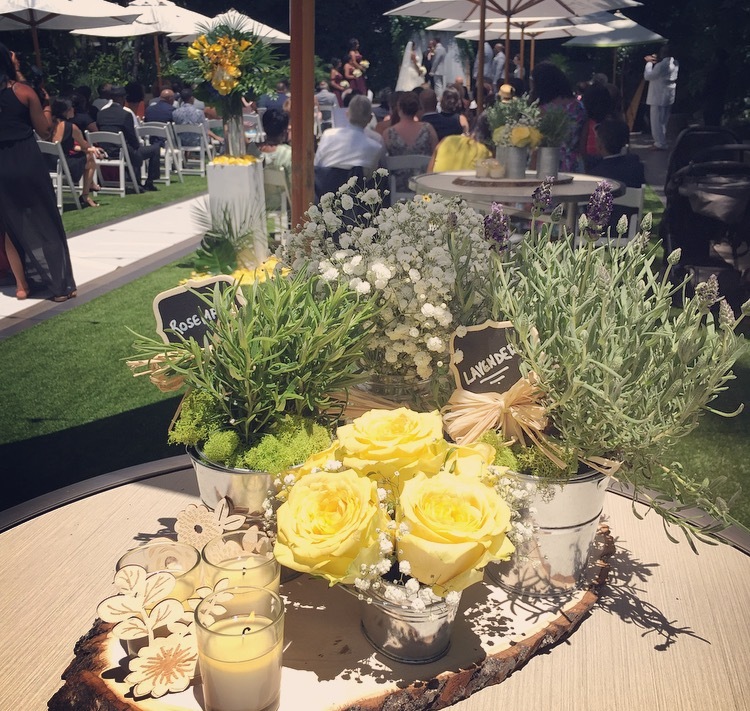 The decor included purple and yellow floral arrangements. Celebrity wedding planner Michael Russo assisted the couple in pulling off the posh affair. 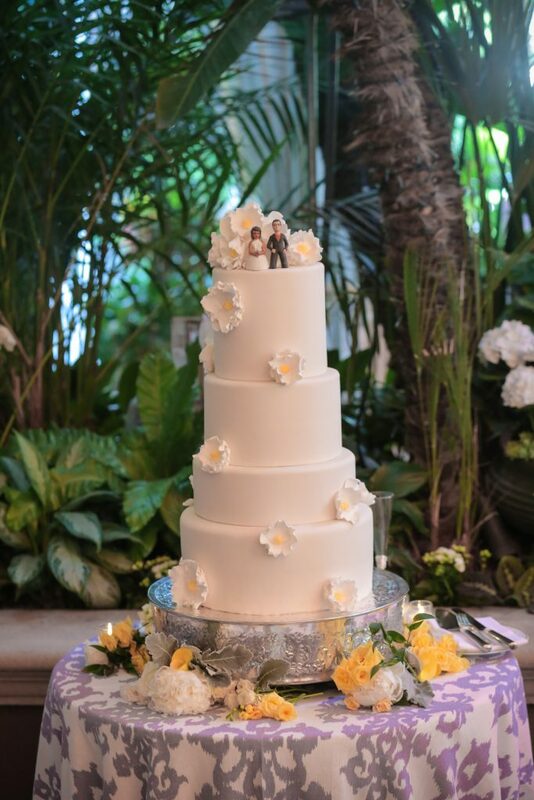 They infused personal touches into their dream day – from the food to their favorite tunes. Music and food weren’t the only pieces of nostalgia to be incorporated into the couple’s wedding day. Several of Ali’s Fresh Prince of Bel-Air costars attended the nuptials, making for a welcome reunion. Guests were able to share their best wishes with the happy couple. 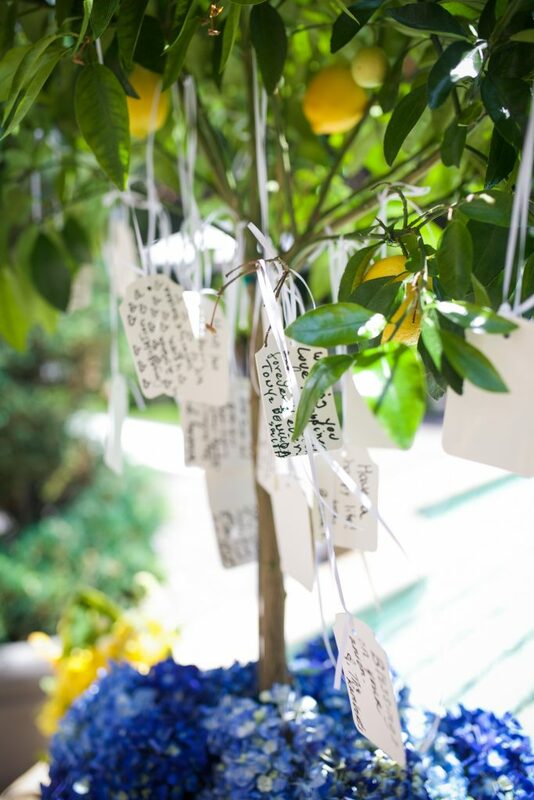 They purchased a wishing tree for wedding-goers to write down their hopes and dreams for the newlyweds. 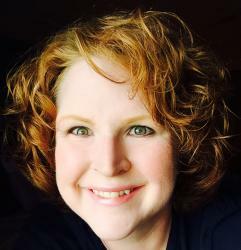 The couple met on the dating website eHarmony in 2014. They announced their engagement back in March, along with the news that they were expecting a child. 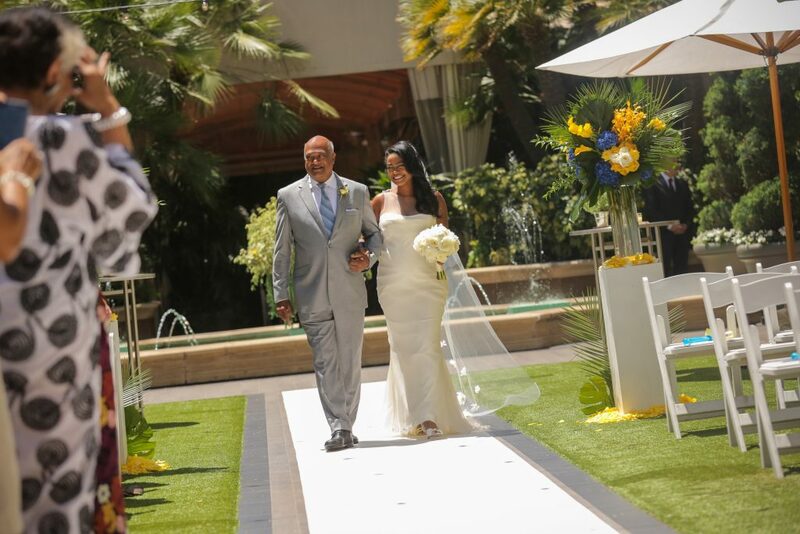 Be the first to comment on "Fresh Prince of Bel-Air’s Tatyana Ali Marries Dr. Vaughn Rasberry in Beverly Hills Wedding: See the Stunning Photos"